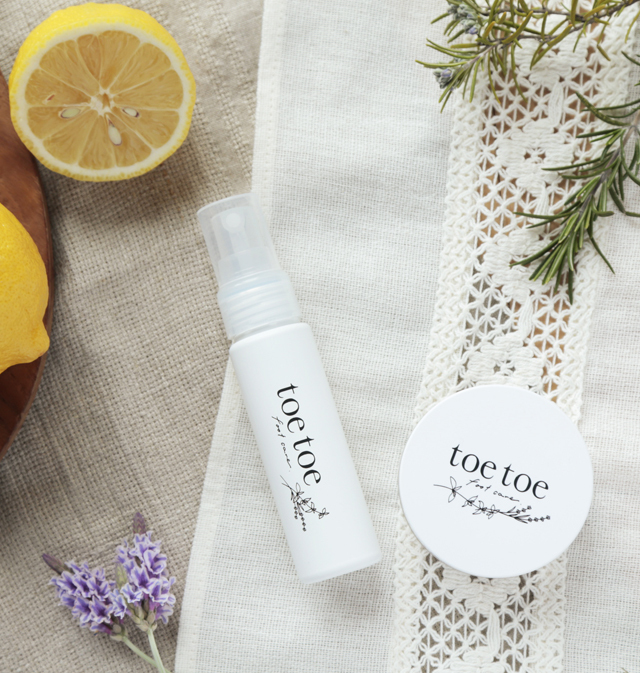 The natural foot care brand to take care of your foot needs with 100% natural aroma extract. Formulated with organic rosemary extract with the antibacterial and astringent properties, it keeps your feet comfortable with the power of plants. 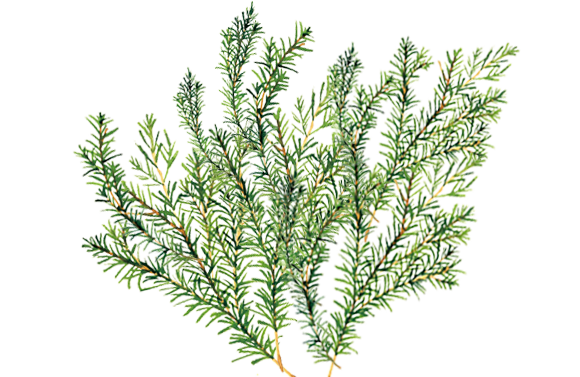 Formulated with the rosemary extract with the organic certification. It has been known for ages for its antibacterial and astringent properties and used for various purposes including skin care. 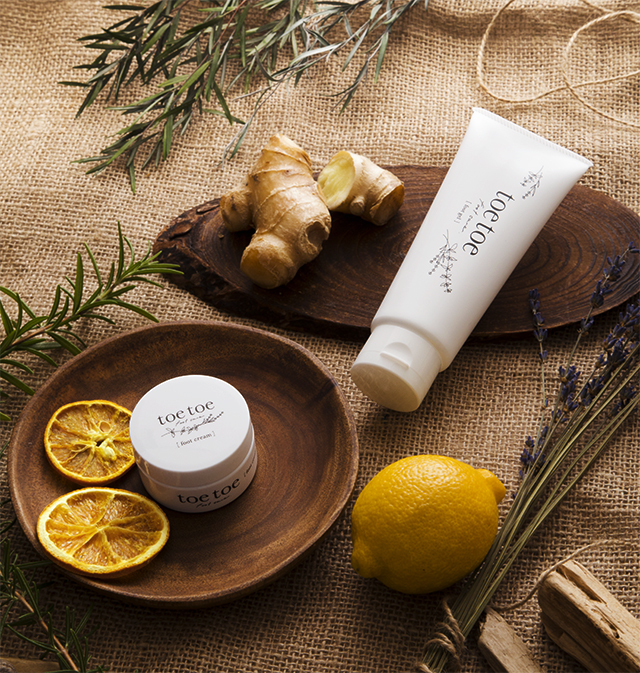 The power of botanical ingredient will keep your skin clean with no stress. 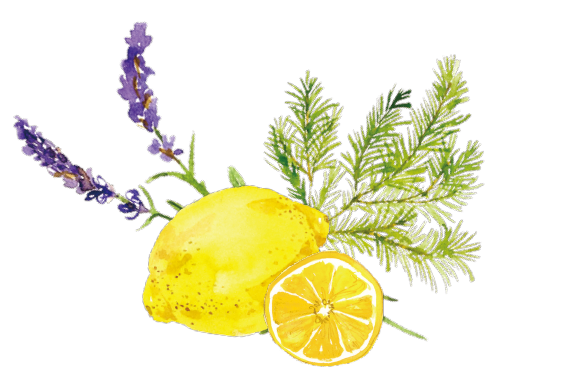 This refreshingly fragrant blend of tea tree – the plant used as the sterilizer/deodorant in the aromatherapy from old days, with lemon and lavender has been supervised by the therapist at the “Sincere Garden”, the organic aromatherapy spa in Kita-aoyama, Tokyo. Formulated with the botanical ingredients which are gentle to your skin, a wide range of products are available from this line to cater your different foot care needs including foot odor, steamy feel and dead cell removal. To fight foot odor you want to keep hidden. Sweat- and humidity-absorbing foot powder to keep your feet dry for a long time. Refreshing natural aroma. A scrub soap formulated with Persian walnut kernel grains. It removes the dead skin cells while cleaning your feet. Your feet will be beautifully silky. This melty scrub paste contains two different sizes of salt grains. 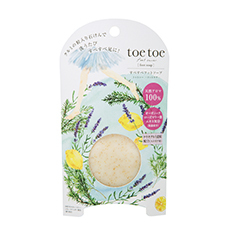 It thoroughly removes the disturbing dead skin cells at the heels and between toes. Your feet will be nice and smooth. Freshly scented with the natural aroma. Launching two dead cell removers and the foot refreshing sheet. 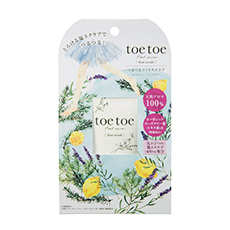 New from toe toe -“Warming Foot Gel ” and “Softening Foot Cream”on October 10.